It is clear that this whole section is talking about the same person, Yahushua. It does not make sense that in the middle of the text it uses a pronoun to start talking about someone different, the antichrist. WLC takes the Historical view when understanding the 70 Weeks Prophecy. In other words, the “Seventy Weeks” happened in the past in chronological order.1 To be clear, these prophetic 70 Weeks do not equal 70 weeks of seven literal days. According to Numbers 14:33 and Ezekiel 4:4-5, Prophetic Time is given in days but counted in years. Therefore, 70 Prophetic Weeks equal 490 prophetic days, which are actually 490 literal years. Thus, the Historical view of this prophecy is that 490 years were determined for the Children of Israel. The “going forth of the command to restore and build Jerusalem” happened in 457 BC. See Ezra 7. During the first 7 weeks (49 years), Jerusalem was rebuilt and completed in 408 BC. Then 62 weeks (434 years) followed and at their completion, Yahushua was baptized in 27 AD, beginning His earthly ministry. During the 69th week or the last 7 years of the prophecy, Yahushua confirmed the covenant with the Children of Israel. His crucifixion 3 ½ years into the final 7 years in 31 AD, brought the end to sacrifice and offering (Matthew 27:51; Mark 15:38). Then at the end of the second 3 ½ years, with the stoning of Stephen in 34 AD, the time allotted for the Children of Israel was completed, the covenant fulfilled, and the Gospel went to the Gentiles. Yahuwah’s promise to Abraham was brought to fruition. His promise to Adam and Eve was carried out. He upheld His end of the bargain. Although not the thrust of this article, it must be noted that from this point forward in History, the Children of Israel were NO LONGER Yahuwah’s chosen people. One would assume, after seeing this outline, that this understanding of the “70 Weeks” would be how all Christians would understand it. And if you were living in the days of the Apostles, you’d be right. The Apostles and subsequent remnants, like the Waldensians, held tight to this understanding. However, as the Papal system began to rise in power and authority over the world so, too, did their untrustworthy interpretations of Scripture. Daniel and Revelation prophesied the antichrist power would rise in religo-political strength. They controlled the belief system for the majority of humanity and kept the world shrouded in darkness for 1260 years – “times, time, and half a time” (Daniel 7:25, 12:7; Revelation 12:14; much more on this here). There were pockets of true Christians spread abroad, like the Waldensians, who held on to Apostolic Christianity, and this came with heavy persecution from the Church of Rome. As the time determined for Papal Rome’s control over the world began to wind down, the precious knowledge of their true identity as the little horn and antichrist power began to resurface. ALL of the Reformation leaders and believers knew and preached that the Roman Catholic System was the foretold antichrist power, even before the completion of the 1260 day/year prophecy in Revelation Chapter 12 and Daniel 7:25. Even Paul warns of “the man of sin…who opposes and exalts himself above all that is called Elohim or that is worshiped, so that he sits as Elohim in the temple of Elohim, showing himself that he is Elohim.” (2 Thessalonians 2:3-4) Queue the most vicious and deplorable organization. Queue the Jesuits. Rome knew that they could not allow this growing band of Protestant “heretics” to continue preaching the true Gospel if they wanted to remain in power. Thus the Society of Jesus, or the Jesuits, was officially formed to combat the Reformation. The Dragon was truly enraged with the Woman. They went about the tearing away of Truth in several ways, with burning at the stake and torture being some of the most gruesome. However, more cunning and decisive measures were used as well, and they are still being used today and deceiving millions, even being used by Protestants themselves! A highly effective way to deceive is to teach lies and claim all other views are heretical. This is exactly the function of the Counter Reformation with the false teachings of Futurism and Preterism. The plan to wipe out the Reformation with the death of “heretics” backfired. The more they killed Protestants, the more faithful believers grew. The Roman Church needed a way to intellectually distance themselves from being the “little horn” of Daniel 8, a fact all Protestants at the time were well aware of. 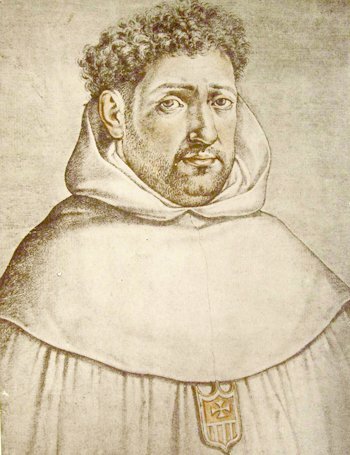 Francisco Ribera, a Jesuit scholar, introduced Futurism in 1585. Cardinal Robert Bellarmine, one of the best known Jesuit apologists, helped to promote Ribera’s ideas. Ribera took the last week of the 70 week prophecy, split it into two halves, and applied it to the antichrist, rather than to Christ. He also placed this one week way into the future, as if the antichrist power would not be around until 7 years before the second coming of Yahushua. This is the “7 years of Tribulation” that people are always speculating about. Therefore, many have been deceived into waiting and watching for the antichrist while staring him right in the face! 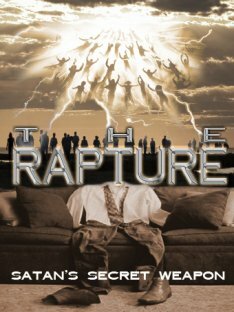 A flood of incorrect doctrines have come from this false teaching – the Secret Rapture, 7 years of Tribulation, a group of Super Jews who fight at the end of time after the Secret Rapture – just to name a few. Futurism also required the creation of the State of Israel, which happened in 1948. 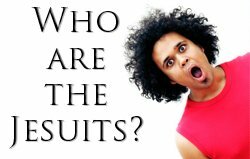 Zionist and Jesuits are working together for a common deception. Because of their false interpretation of Daniel 9:27, they need a third temple to be built and abominable sacrifices to be reinstated in order to herald in a phony “antichrist” to be brought down by the REAL antichrist posing as the true Christ. It is the perfect crime against humanity because almost all of popular Christianity unknowingly embraces this counterfeit eschatology. The fact is Daniel 9:24-27 has already been fulfilled in its entirety, in the life and ministry of Yahushua and the subsequent death of Stephen, the first Christian Martyr. Since they love confusion, Rome, however, was not finished with their faulty interpretations to eschew their true identity. 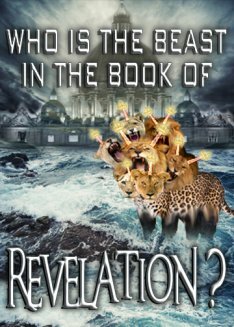 There is a second false teaching surrounding the prophecies of Daniel and Revelation, Preterism. Not long after Ribera concocted Futurism, Spanish Jesuit Luis De Alcazar wrote a commentary called Investigation of the Hidden Sense of the Apocalypse. He proposed that all of Revelation and Daniel applied to pagan Rome and “found no application of prophecy to the middle ages or to the papacy.”2 It is truly remarkable just how gullible people were/are to accept these two teachings. Futurism and Preterism were spread abroad and are now deceiving almost the whole world, even Protestants. Thus, the Jesuit Futurist lie spread through America’s Protestant Seminaries. Click here for a list of some of these high-profile seminaries and names. Accordingly, towards the close of the century of the Reformation, two of her most learned doctors set themselves to the task, each endeavouring by different means to accomplish the same end, namely, that of diverting men's minds from perceiving the fulfilment of the prophecies of the Antichrist in the Papal system. The Jesuit Alcasar (sic.) devoted himself to bring into prominence the Preterist method of interpretation, which we have already briefly noticed, and thus endeavoured to show that the prophecies of Antichrist were fulfilled before the Popes ever ruled in Rome, and therefore could not apply to the Papacy. On the other hand the Jesuit Ribera tried to set aside the application of these prophecies to the Papal Power by bringing out the Futurist system, which asserts that these prophecies refer properly not to the career of the Papacy, but to that of some future supernatural individual, who is yet to appear, and to continue in power for three and a half years. Thus, as Alford says, the Jesuit Ribera, about A.D. 1580, may be regarded as the Founder of the Futurist system in modern times. These two Jesuit interpretations could not be more different; however, they were both created to be diversionary to the Protestant Reformation. No matter how improbable or contradictory these two interpretations may be, they have successfully fulfilled their purpose in deceiving almost all of modern Christianity. Papal Rome is the little horn, the antichrist power, the drunken harlot, the blasphemous seat of the man of sin. Almost all of Christendom has lost this precious Truth and is being steered off course. Think of how popular Pope Francis is today. The world loves him. Be not deceived, Beloved of Yahuwah. Find yourself covered in His Shadow. Be prepared, keep the Commandments, and have the Testimony of Yahushua, for the Dragon is wroth and time is short. 1 There is absolutely no Biblical precedent for dividing the 70 weeks up and postponing the final week to some point in the future. The prophecy was given as one timeline. 4 From Daniel and the Revelation: The Chart of Prophecy and Our Place In It, A Study of the Historical and Futurist Interpretation, by Joseph Tanner, published in London by Hodder and Stoughton, 1898, pages 16,17.